History | SJB / Empire Geo Services, Inc.
SJB Services, Inc. was established in 1992 to provide contract drilling (geotechnical and environmental) and construction testing services to clients throughout New York, Pennsylvania, New Jersey, and the Northeast. 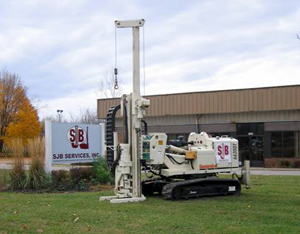 In September 2000, SJB Services, Inc. acquired Maxim Technologies of New York, Inc. Maxim Technologies was originally founded in 1953 as Empire Soils Investigations in Ithaca, NY, as an independent testing laboratory specializing in subsurface investigations, geotechnical engineering, and construction quality assurance services. As a result of this acquisition, Empire Geo Services, Inc. was formed as the New York State Registered Professional Engineering subsidiary of SJB Services, Inc. and the successor to Maxim Technologies. 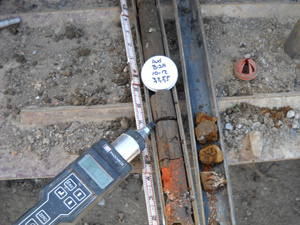 Another acquisition was completed on January 8, 2002 when SJB / Empire Geo acquired Vanderhorst Geotechnical Engineering PC of Rochester, New York. Through strategic expansion, and acquisition, SJB / Empire Geo has grown to become one of the largest specialty engineering and support service firms in the Northeast with offices located near the major New York metropolitan areas of Albany, Buffalo, Rochester and Cortland. SJB / Empire Geo’s mission is to provide a focused approach and personal commitment to high quality and timely service, within the consulting, architectural, industrial, environmental and governmental industries.